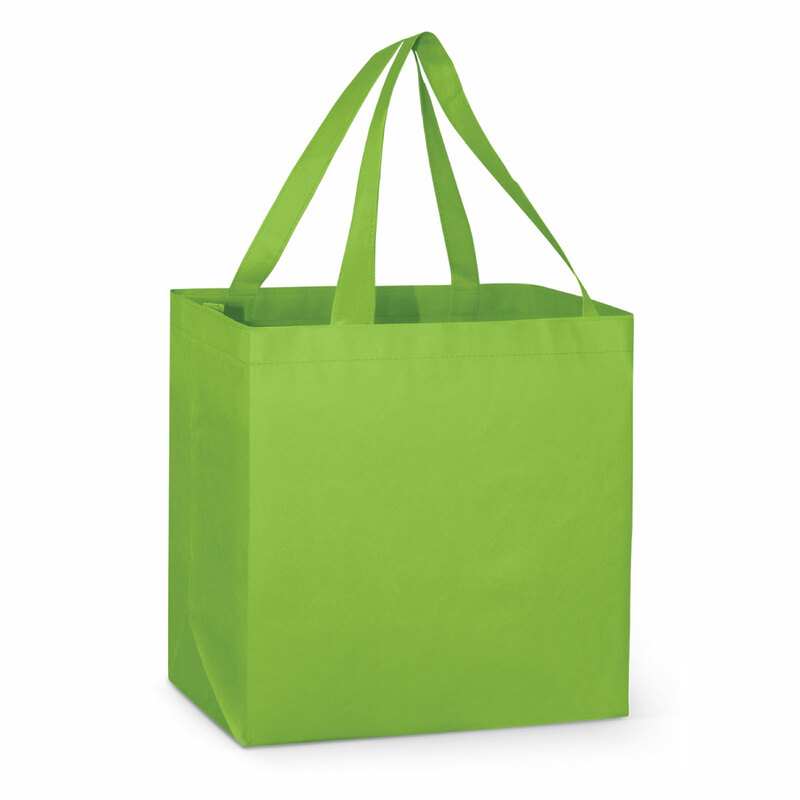 Help your promotion and the planet with these re-usable shopping bags! The ultimate shopping bag is now available to be branded with your logo or marketing message! These large re-usable totes come in a huge range of colours and feature a reinforced base board, offering strength for carrying bulky items and groceries. 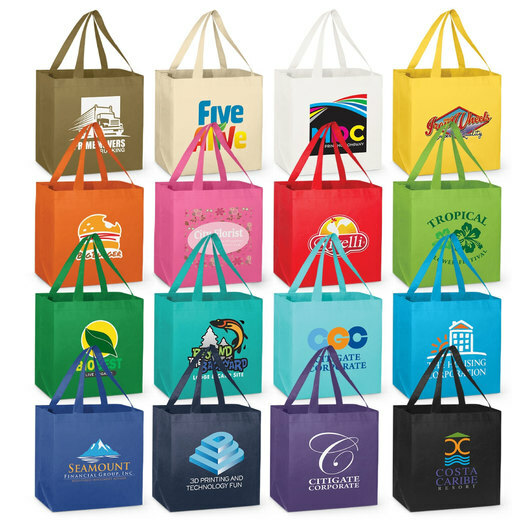 Made from 80gsm Eco-friendly non-woven material they're also able to be recycled at the end of their useful life making them a great environmentally conscious promo bag.